voonboy [? ]: u vote for BOA or Ayumi??? 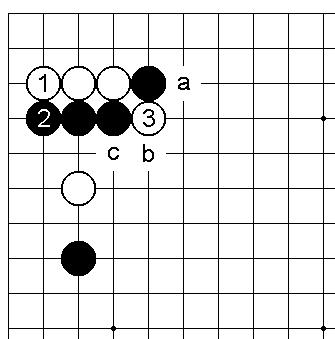 Often beginner (8k or weaker) would make this terrible mistake in this Joseki, which Xinwen trying to voice it out now. White “1” Kakari the hoshi, Black replied with move “2” pincer then follows-up to Black “6”. Black “6” is the fundamental mistake to this Joseki! Move “6” is only correct for 3-3 invasion-Joseki but in this case, Move “6” would not work because of White stone “1”. 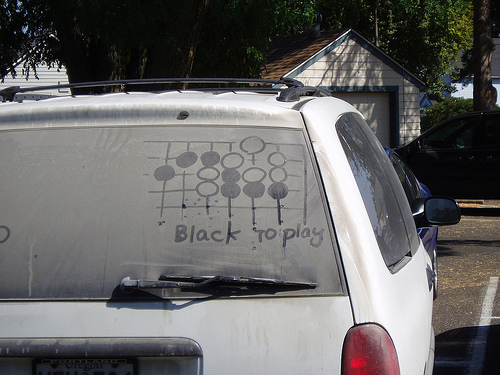 Thus White should really punish the black. Thus, White should play “1” then cut at “3” when Black replied at “2”. Black does not have any good move, moving at “a” will make White to hane at “c”; then 3 stones died. 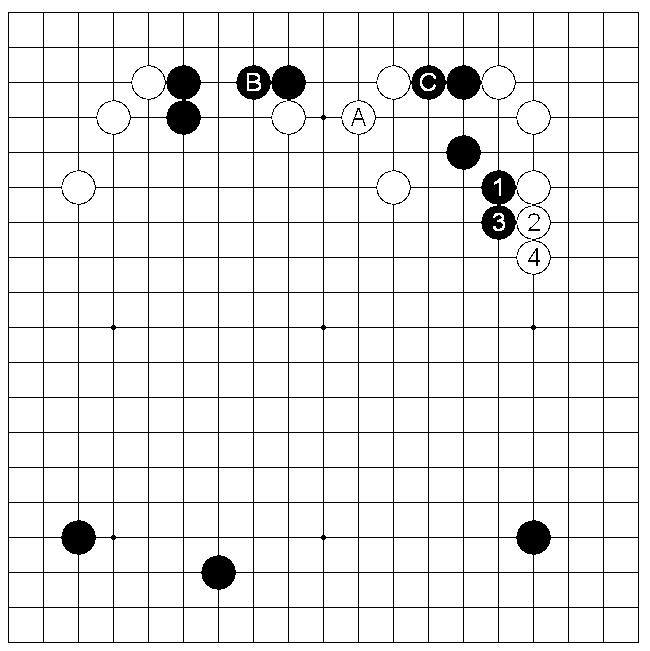 Black atari at “b” force White to kill the stone and get a bigger corner in additional 1-stone aji at the left. 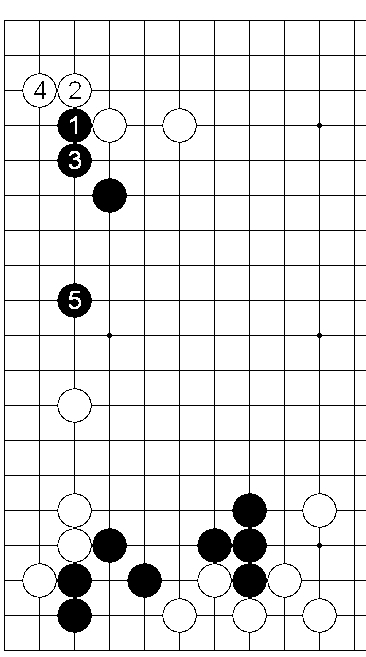 This is the simplest punishment for black, another variation for white would be pincer at “a” instead of “1” shown in the Joseki Figure 2. In more advanced level, one should take this keep as a fundamental theory – changing the sequence. 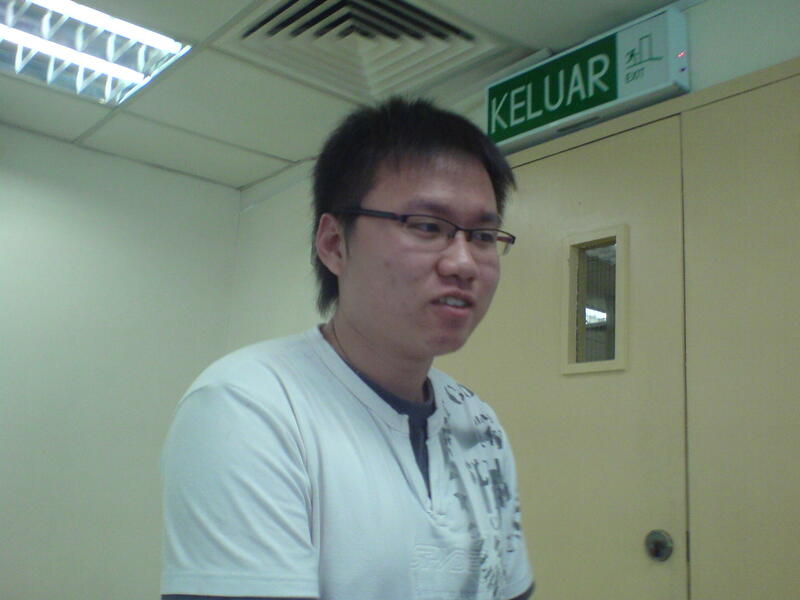 Kai Chen has been classmate/course mate with Xinwen since the first semester, a very good colleague in architectural course. Ever since the first semester, Kai Chen had decided to take up Go lesson from Xinwen, with the current strength of estimating 10kyus (Xinwen’s grading). 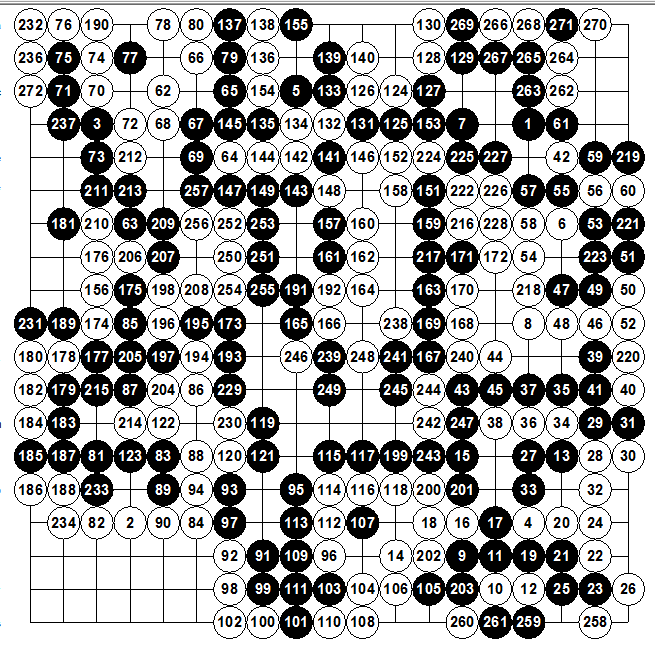 Xinwen had figured out an immense potential within Kai Chen in playing the game of Go, with very good judgment and logical thoughts in playing the game. 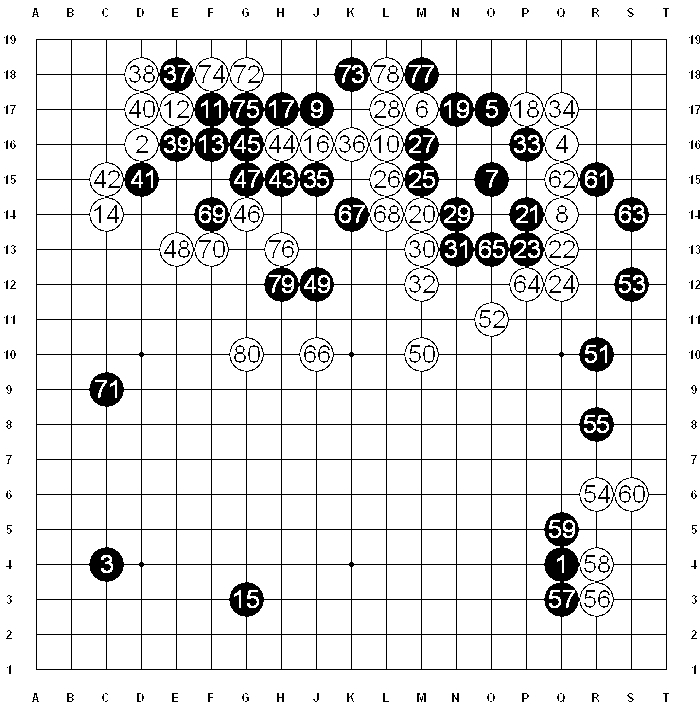 Something need to be emphasized in the game with Kai Chen is that the Joseki at the top left played in the real game is not as effectively develop as the Joseki shown here. The originally play has too much move, and helped White to make move “30” which is again the theory of 4th line territory – elimination of any potential reduction or invasion. Comparing here, there is still aji left at the White’s territory, and Black is seem to be lighter than the original one. 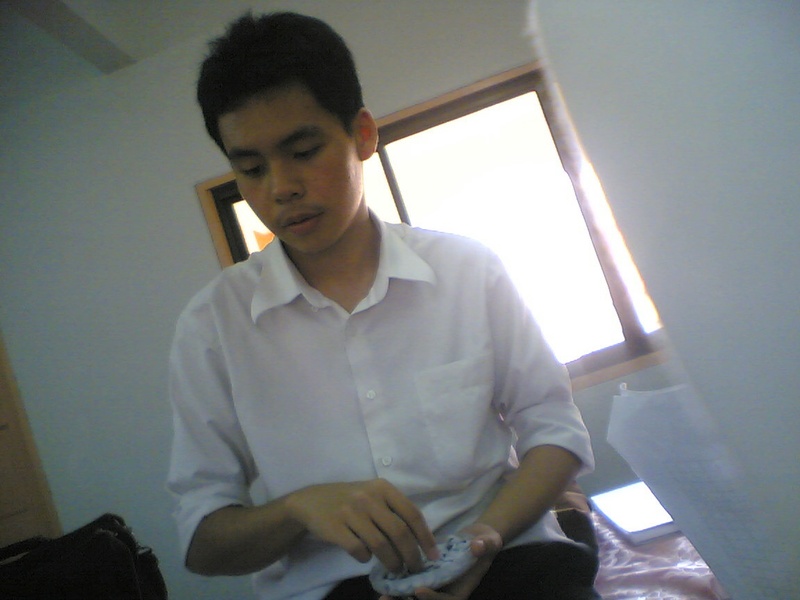 That was actually the December of 2003 when Shaolun discovered the amazing software Igowin, a pretty cool software for any beginners to play the game of Go. Undoubtedly, not know the objectives of the game, it was awfully performed. Hikaru no go was released in Comic Weekly (Chinese), who would have thought the rules of the game without explanation? One would definitely skip the pages. … and hence the stories continued…in the land of stranger, domain of unknown hospitality. Tonight Xinwen managed to play a game in KGS against a rather weak 3-kyus. 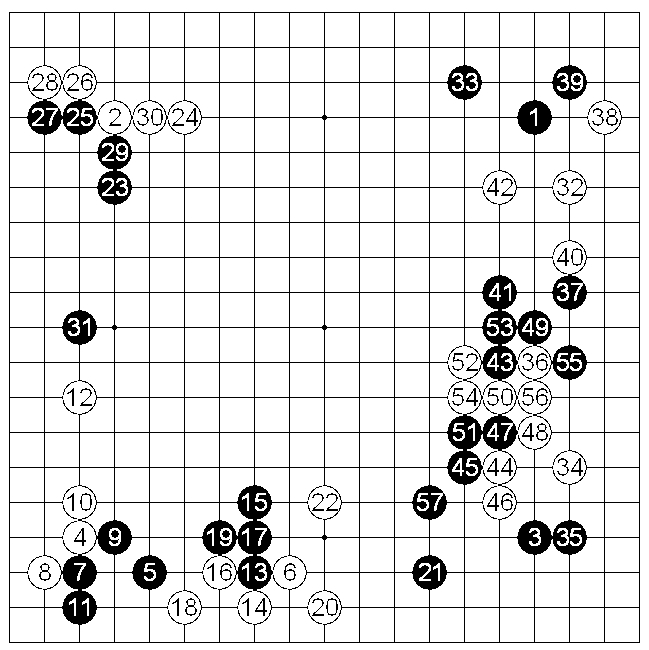 Xinwen won by resignation in moves 80th, guess the opponent gave up in saving the group or trying to fight with the influence he had at the bottom. This is Xinwen’s first Kifu post try out! He reveled he is a weak 3kyu when he played the move “1”, theoretically saying Black “1, 3” helped White too much by building 4th line territory at replied “2, 4”. This also helped to eliminate any aji (potential) play or invasion to my corner white. Furthermore, theory saying Black has 2 groups “B” and “C” while i have “A”. Basically saying that Xinwen does not have much to worry, and would rather have Black to attack my “A” group in order to make it strong and to gain strength. 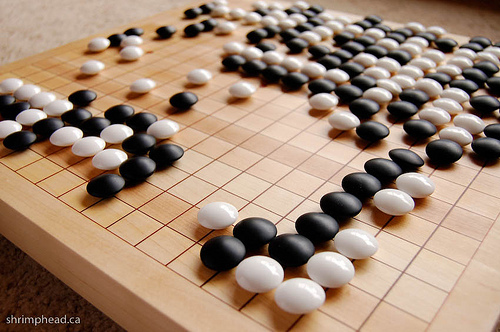 This wordpress is sorely focus on the issue of Xinwen’s Go Life; fellow readers are welcomed to know the go lifestyle of Xinwen and/or fellow go players may allow to learn from Xinwen’s games of go. Moreover, this wordpress also would provide information regarding Go issues around the world, pictures of any Go activities at which Xinwen may happens to confront. 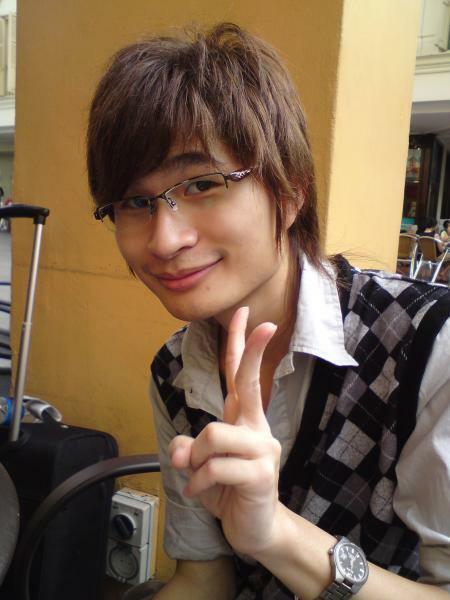 Go Status: Organizer, Teacher, In-charge of any Go Affairs of Brunei.